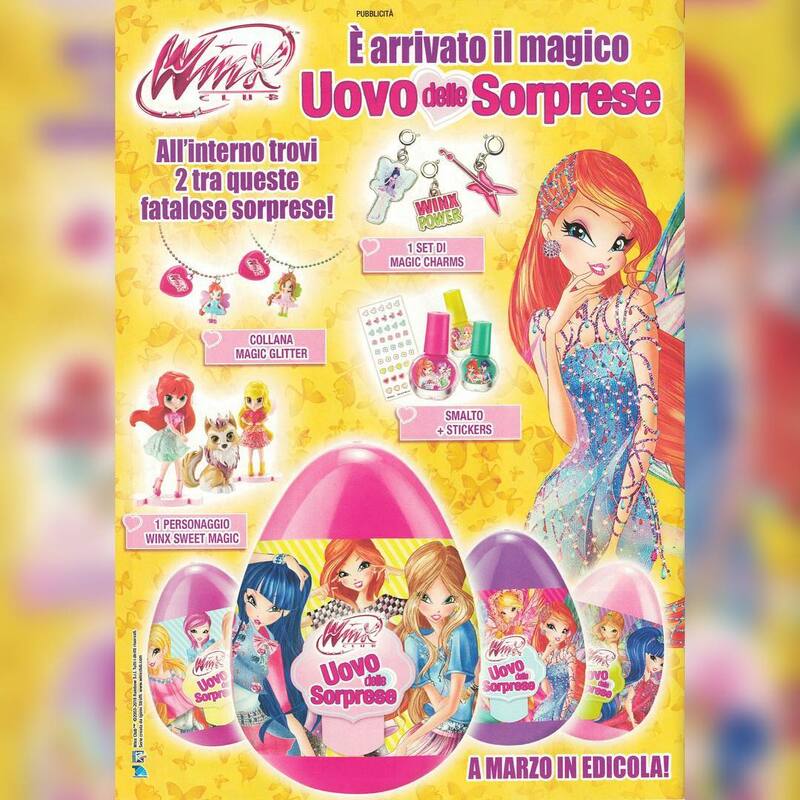 Tridimensional will soon launch the new Egg Surprises of the Winx Club in Italy. Inside, you can find two fabulous Winx surprises: 1 Set of Winx Club Magic Charms (those that came as a gift with DVDs of the Winx Club in Italy), a character or figure from the Winx Club Sweet Magic collection (a collection taken at the beginning of 2017) a set of nail polish and stickers of the Winx Club Magic Color (a collection of nail polish that went on sale in the summer of 2017). There are four egg models: 2 of Talent Show Couture and 2 of Dreamix Couture. They will go on sale in March the Italy. We totally need them worldwide!